Meditation and relaxation usually go hand in hand. Acting as a powerful stress reliever, meditation elicits a relaxation response, allowing the body’s natural self-healing and restoration processes to work like they’re supposed to. Meditation also helps return our subtle energies to a state of balance and flow. Because it quiets the mind and focuses awareness, it also helps to balance an over-active mental body—almost a hallmark of western culture. This brings a sense of peace and can prevent illness and disease before they have a chance to take root in our physical bodies. Meditation and relaxation can thus do wonders for your health--physical, mental, emotional, and energetic. 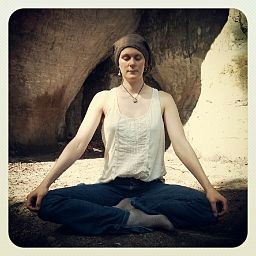 Following are some simple meditation and relaxation techniques. You can’t do them “wrong” and any time you do spend in meditation is a positive thing. So give one a try! Simply focusing on your breathing is one of the easiest forms of relaxation meditation. Sit in a comfortable chair, in comfortable clothing. Especially when you are new to meditation, try to choose a quiet environment in which you will not be disturbed. As best as possible, turn your busy brain off and place your awareness on your breath. Without trying to change your breath, simply pay attention to the act of breathing--the feeling of the air moving in and out of your lungs, the sensations throughout your body. In a few minutes, you may notice your breath becoming slower, deeper, and more even. But if not, that’s OK. Just keep your attention on your breath. For most of us, it’s harder than it sounds to stay focused on breath. Your attention may wander. You may find thoughts intruding. In fact, you may discover that you have spent several minutes thinking about one thing or another. Don’t judge yourself—simply notice, and return your attention to your breathing. Aim for “the space between thoughts,” and over time, try to make that space longer and longer. You can do this for as long as you like, but it’s easier to start with just a few minutes—say 5—and work your way up to 20 minutes, once or twice a day. You will most likely begin to notice changes in your state of mind that last throughout the day. You may notice that you remain calmer, even in the face of stressful situations. You may find that you have less anxiety, and almost certainly, you will be more relaxed. Body awareness cultivates relaxation and calm by sequentially focusing your attention on various parts of your body. Like progressive muscle relaxation, you start with your feet and work your way up your body—your right foot, your right lower leg, your right upper leg, then your left foot, and so on. However, instead of tensing and relaxing your muscles, you simply focus on the way each part of your body feels, and then move on to the next. Allow yourself to feel the aliveness in each body part. Doing this focuses awareness, turns off the over-busy brain, brings you more awareness of your body (which is almost always good for your health), grounds you to your own body (also very good for energetic and physical wellness), and helps to restore your subtle energy system to a state of flow. And, it’s deeply relaxing and refreshing. If stillness isn’t your cup of tea, you can try walking meditation. To do walking meditation, you simply go for a walk, and stay focused on each step — the sensation of your feet touching the ground, the rhythm of your breath, the feeling the air against your face, the smells that you encounter, and so on. As with the other forms of awareness meditation, if you find yourself straying into thoughts, simply notice without judging yourself and return your mind to awareness of walking. If possible, allow your arms and hands to be unencumbered (i.e. no purse, no dog, no hands in pockets), and swing your arms as you walk. But wait—there’s more! Walking helps our circulation by pumping venous blood back to our heart, and moving lymphatic fluid through the lower half of our body. The other benefits are similar to the body awareness meditation, with the added benefit of fresh air and sunlight, which help to cleanse and lift your subtle energies. We humans were designed for walking, and it really is a wonderful tool for wellness on all levels. Return from Meditation and Relaxation to Relaxation Techniques.